After the neighbouring apartment dwellers offered us a sedative for our one year old, we shied away from foreign holidays. 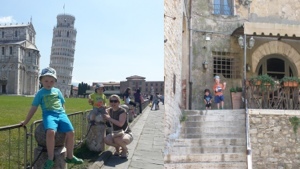 It took three years to brave it again, and with lessons learned from our first disaster we had the best family holiday ever. campsite, Holidays, Italy, Park Albatros. Bookmark.